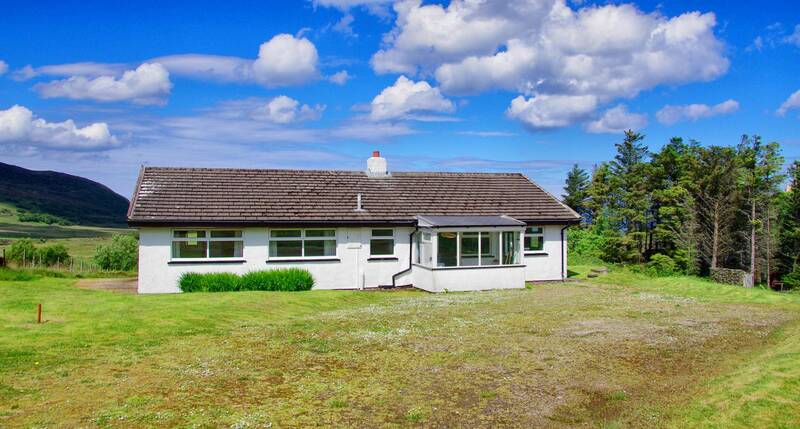 Ceol na Mara, meaning ‘Sound of the Sea’ in Gaelic, is a comfortable bungalow in the tiny village of Branault, on the north coast of the Ardnamurchan peninsula. 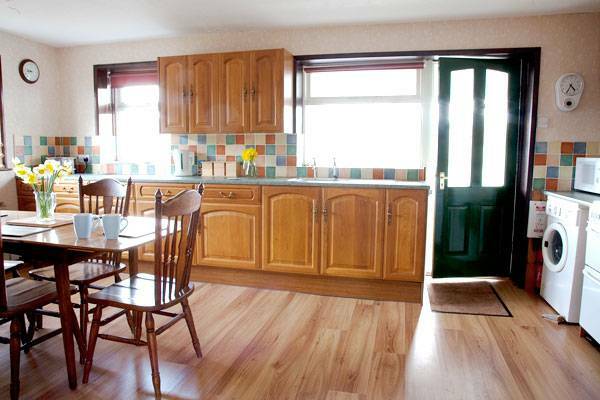 The spacious, homely living room has an open fire and floor to ceiling French windows, leading out onto a decking area with table and chairs and a large garden. The perfect spot for an evening drink while admiring beautiful sea views out to the Small Isles and the Cuillins of Skye. 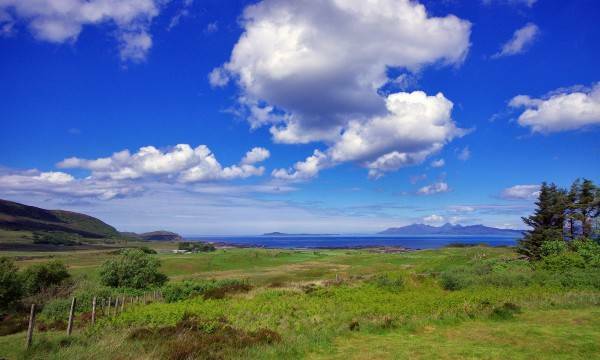 Just a short walk away are the lovely, sandy beaches of Kilmory and five miles to the south is the village of Kilchoan, where there is a shop, pub and ferry to the Isle of Mull. The area provides plenty of opportunities for wildlife watching and exploration of the dramatic and rugged coastline. Please Note: Ceol na Mara is at the end of a shared track, the first steep part of the track needs to be driven slowly, with care (first gear) and is not suitable for cars with a low chassis. On arrival with a heavy laden car, some passengers could walk, to lighten the load. On one level: Small porch, large kitchen/dining area and living room with open fire. 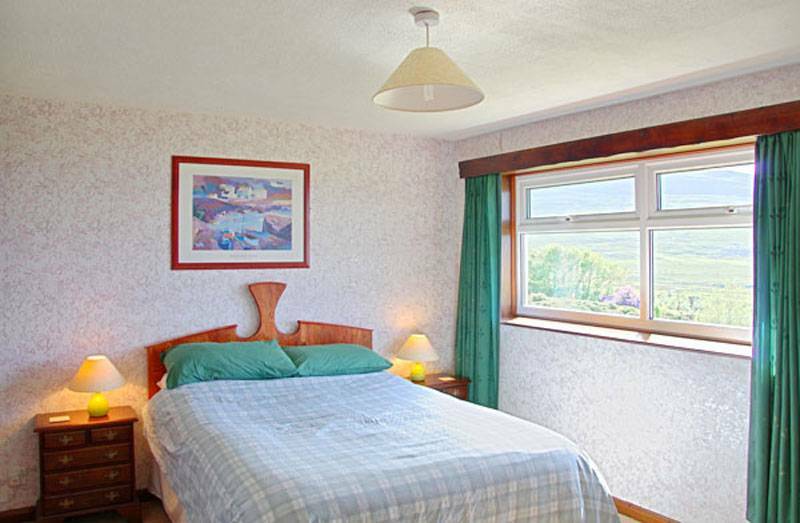 One double bedroom, one twin bedroom, two single bedrooms. 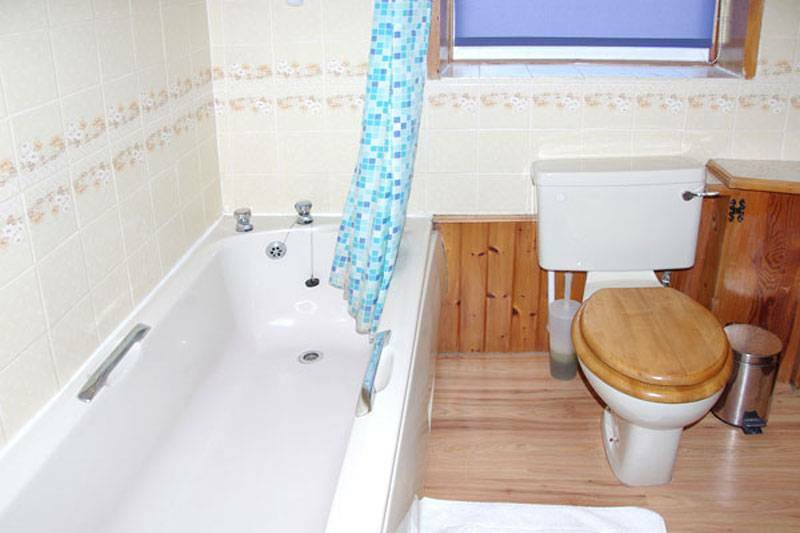 Bathroom with bath, toilet and washbasin. 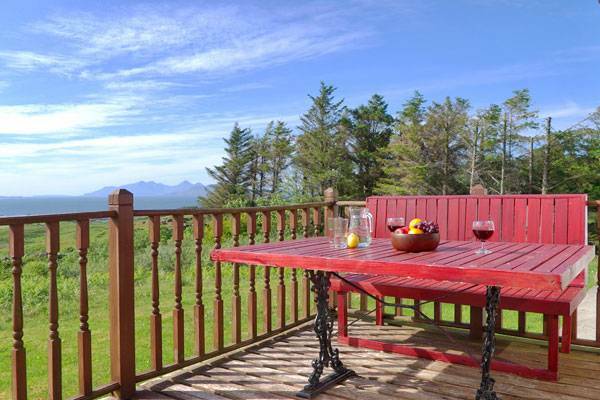 Garden: Large garden and wooden decking area with seating to enjoy amazing views out to the Small Isles. On one level: Small porch, large kitchen/dining area and living room with open fire. 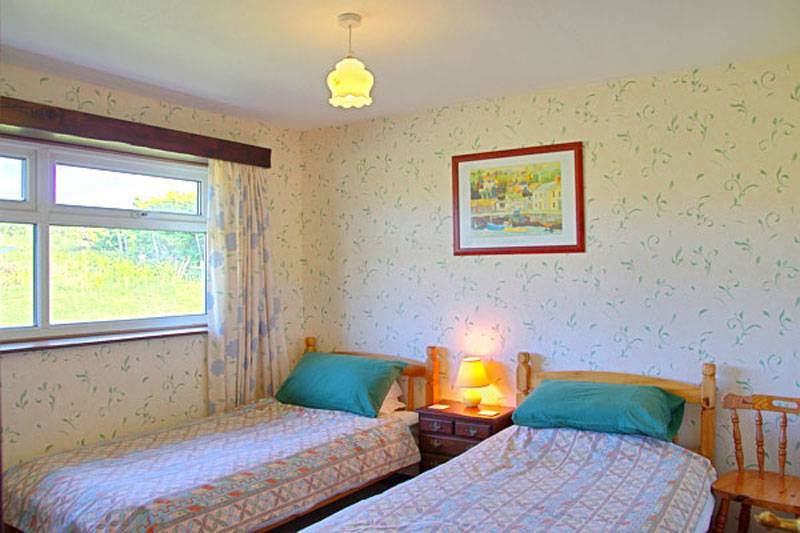 One double bedroom, one twin bedroom, two single bedrooms. Bathroom with bath, toilet and washbasin. 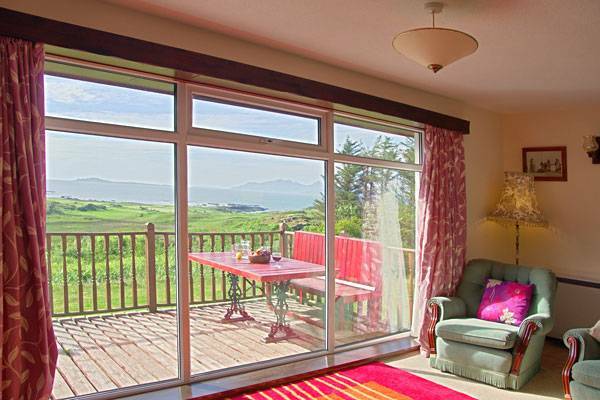 Garden: Large garden and wooden decking area with seating to enjoy amazing views out to the Small Isles. Open Fire: Fuel and firelighters are provided for your first night, more can be purchased at the Kilchoan shop. Private water supply: Water can be discoloured at times although it is safe to drink. Scottish Water test this annually, however we would advise boiling the water before consumption. Alternatively bottles of water can be purchased from the local shop in Kilchoan or pick some up en route. How to get to Ceol na Mara – PH36 4LL After you pass Ben Hiant and Loch Mudle turn right at the junction, signposted Kilmory and Ockle. At the bottom of the hill, fork right at the junction, also signposted Kilmory and Ockle. Cross the burn and take the next right after Branault Cottage. Go over the cattle grid, past the Steading Holidays sign, and travel up the road to the last house. Ceol na Mara is at the end of a shared road. 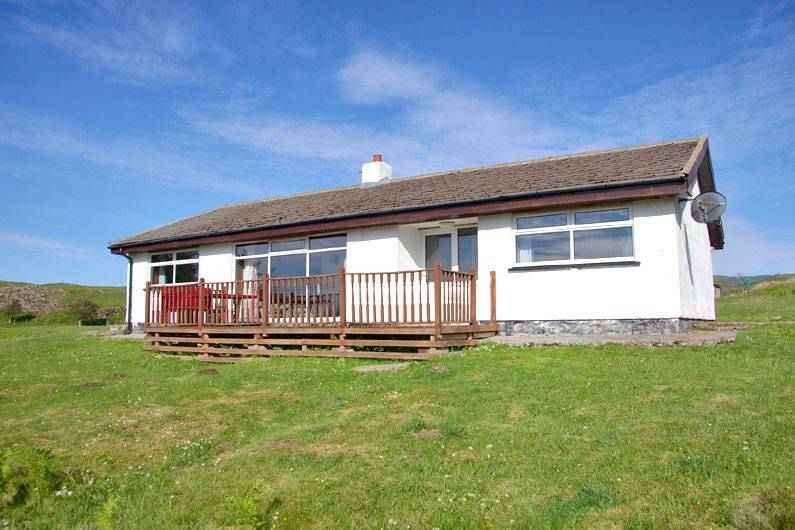 “This house had everything we needed for a week in Ardnamurchan. The track to the house from the road is a bit rough, but we managed. The water is a bit brown, but that’s the peat, and makes it part of being in this part of the world. A lovely beach was within walking distance, and the rest of the peninsula has more than enough to fill our time.